Jody Clegg is an acclaimed real estate professional and head of a hand-selected, top-performing group of specialists with the singular goal of providing clients with the most customized and thorough client service in the business. The real estate industry is a constantly evolving field. Gone are the days when a realtor could simply stick a sign in the front yard to sell a home, and Jody prides herself in being at the forefront of client service and innovation. Each sale tells its own story with its own moving parts, and Jody has personally chosen uniquely qualified staff and agents to help her in her pursuit of revolutionizing client expectations in the field of real estate. For more than 21 years, Jody’s offerings range from luxurious oceanfront estates to cozy single-story cottages, resulting in more than $1 billion of real estate sales in Orange County. Partnering with internationally renowned real estate powerhouse Compass, Jody has aligned herself with the biggest brands in luxury real estate, providing her clients with unparalleled exposure to an exclusive marketplace few others can claim. 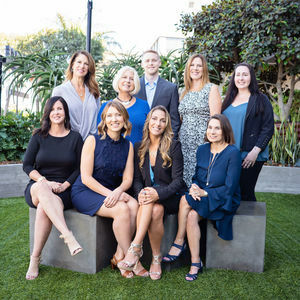 Priding herself on unrivaled marketing quality, community knowledge, and outstanding client service, Jody has established herself as one of the most innovative luxury real estate forces in Orange County.